don't be the neighbor with the noisy garage door? We can solve that with a simple inspection of the door. Do you cringe every time you hear your garage door squeak? Are you fed up with the grinding, rattling, and screeching every time you open your door? Are your neighbors complaining that you wake them up with your creaking garage door every time you come home from a long night at work? If you answered yes to any of these questions, you might need our help to fix the problem. Fortunately, a noisy door can usually be fixed quickly and maintained with regular maintenance checks. Although we always recommend hiring a professional to get your door working safely, some squeaky doors can be fixed with a few do it yourself methods. Always consult with our team of experts before working on your garage door. To fix a squeaky door, you should first try to tighten the nuts and bolts with a socket set. Make sure you check all of the nuts and bolts and tighten them properly. Over time, some of the bolts may get loose due to the natural vibration upon opening and closing the door. This could be a quick and easy remedy, and the noise may stop. If re-tightening the bolts does not work, the rollers may have to be replaced. To inspect the rollers, watch them while opening and closing the door. If they squeak while moving, this could be the source of most of the noise. 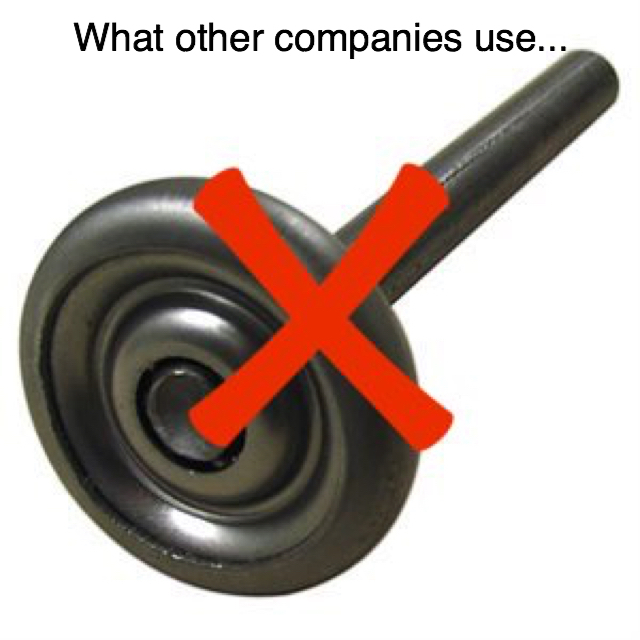 Some rollers are metal and others are nylon, but both types can become worn over time. 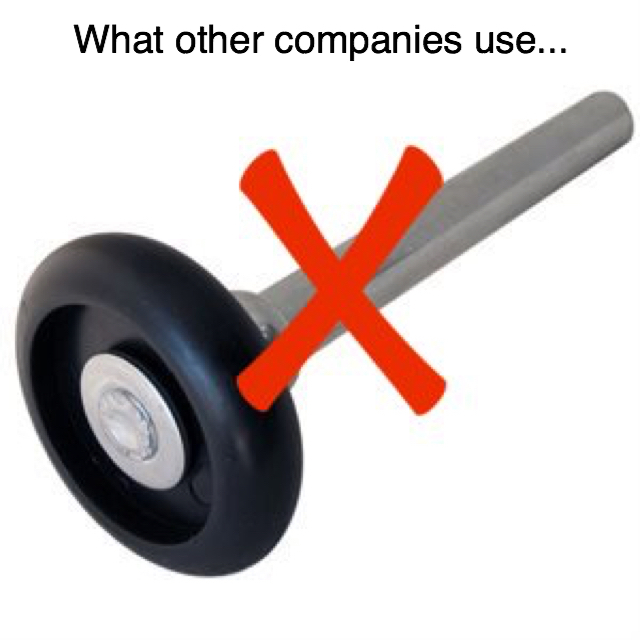 If the rollers look worn, they should be replaced. If they can be salvaged, they should be squirted with a metal lubricant which should quiet the noise and get the door running smoothly again. 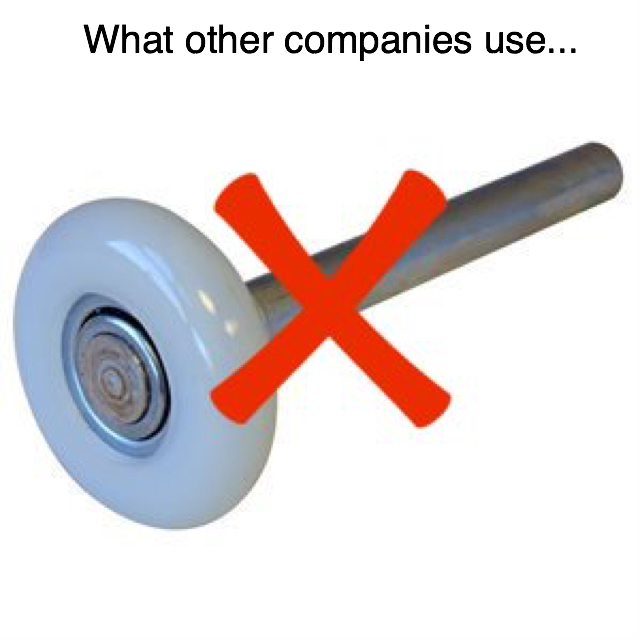 If the rollers do need replacing, they should be replaced with nylon rollers as they have proven to be quieter. Please do not try to do this yourself. 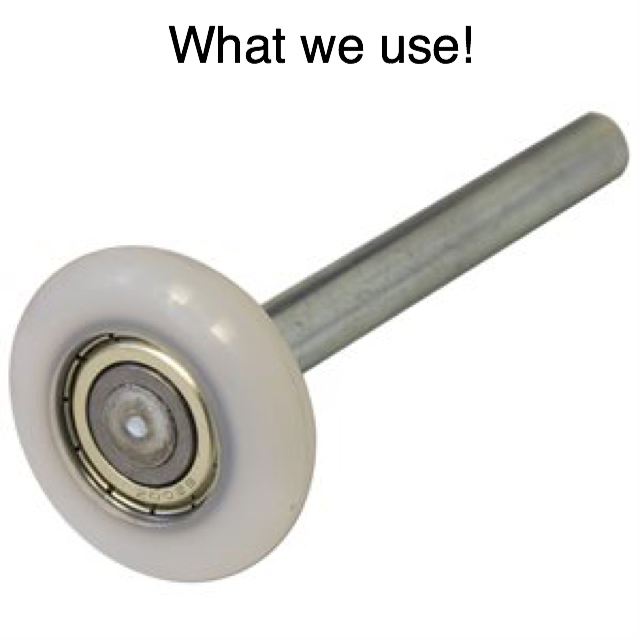 Our experts can replace your rollers without permanent damage to the opening mechanism. Another cause of garage door noise could be a broken or worn spring. Extension springs can be found above the upper tracks on both sides of the door and Torsion springs are located just above the closed door. Torsion springs should be handled with the utmost caution as they are under extreme pressure. If either type of spring is broken, you will need to contact one of our garage door experts. If the door is an older model, it may need a hinge replacement. The roller stem on the hinge becomes worn, and this causes noise upon operation. Similarly, a loose trolley mechanism on the drive could cause excessive noise. You can consult your manual or online instructions to see if these issues can be remedied. Both issues can be fixed with lubricant; however, you should never apply any grease or to a belt drive. Lastly, but certainly not least, the noise problem with your garage door may not be with the door at all. If your garage is made of concrete, the noise is going to bounce off the walls and resonate through the garage. The most efficient solution is to insulate the supports holding up the horizontal tracks with rubber stripping. 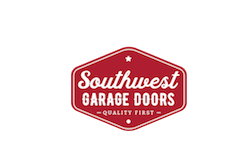 If all of these issues do not fit your problem, please give Southwest Garage Door a call. Our team of trained professionals will fix the noise pollution issue and get your garage door running efficiently for years to come. A standard garage door tune up by one of our skilled craftsman will get your door adjusted better than when it was new. The technician will go through a check list with you to explain any other faulty parts that might need to be addressed. You maintain your car regularly, do the same to your garage door! Believe me it will thank you in the long run and save you money. Nylon unsealed 11 or 13 ball bearing roller are the most commonly used rollers. They definitely make a difference the first year or two but, being unsealed they fill up with debris which conclude to replacement down the line. 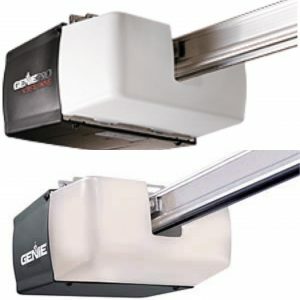 They're capable of handling 125lbs and lasting 2-4 years or 20,000-25,000 cycles. 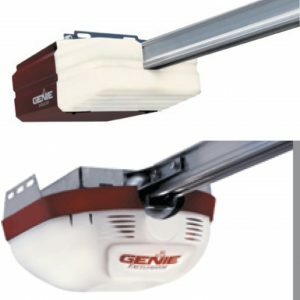 The noisiest of them all are those old school genie screw drive openers manufactured from 1980-1995. Typically these openers just need ALITTLE BIT OF GREASE every couple months. So, before you go crazy with the grease call a professional to make sure that’s what is causing all the racket.